Morrisons' recovery continues to gather momentum, with the UK's fourth largest supermarket reporting a 40% boost in first-half pre-tax profit to £200m and a seventh consecutive quarter of sales growth. Chief executive David Potts claimed that a "new Morrisons is beginning to take shape", while the supermarket confirmed that the resurrected Safeway brand would be "available soon" at the stores of retail partner McColl's. While the company said that the UK market remained highly competitive, with consumers facing uncertainties such as Brexit and a weak pound, its "Fresh look" store format and branding was bolstering the business. Given the rising prices of many groceries, Morrisons' emphasis on its "Price crunch" positioning had helped drive revenues, while its expanding Best range would hit 1,000 products by before the year end, nearly double than at the start of 2017. Reporting on the 26 weeks ending 30 July 2017, total turnover was up 4.8% to £8.42bn, and excluding fuel was up 2.6% to £6.57bn. Reported pre-tax profit grew £57m compared to the same period last year. Potts said: "The capability of the team continues to improve and we are making strong headway with our plans to 'fix, rebuild and grow’. "Our supermarkets continue their focus on improving the customer shopping trip and, in wholesale supply, we are beginning to realise some of the opportunities that our unique team of food makers and shopkeepers bring us." The supermarket said that its "Fresh look" store format and branding meant it was continuing to listen to customers and staff on further store improvements and how to better use data it accrues via its More loyalty card. Phil Dorrell, partner at Retail Remedy, praised Morrisons for "steering its own path" rather than trying to outmanoeuvre its rivals. "The supply agreements that Morrisons has secured in the last year coupled with Safeway own-label range development, give the retailer a solid platform to grow wholesale revenue well beyond the year of exclusivity with McColl's," he said. The deal allows Morrisons to supply independent convenience store and newsagent McColl’s with goods, including an exclusive array of Safeway-branded goods. 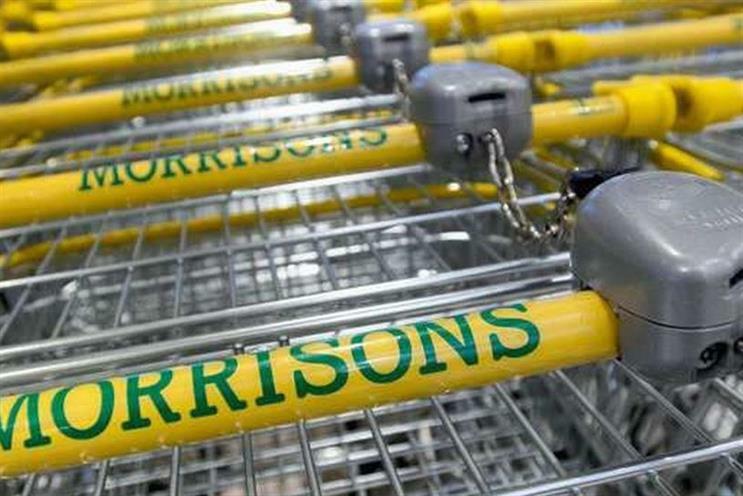 "Morrisons are focussing on its strengths, not the weaknesses of others. Strategically this will always be the most successful way forward, particularly when coupled with David Potts' strong leadership," Dorrell added.